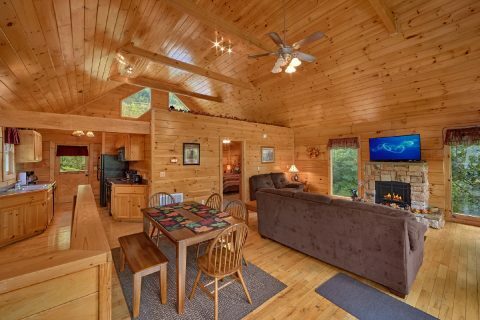 Looking for an affordable log cabin with everything you need for a terrific Smoky Mountain vacation? 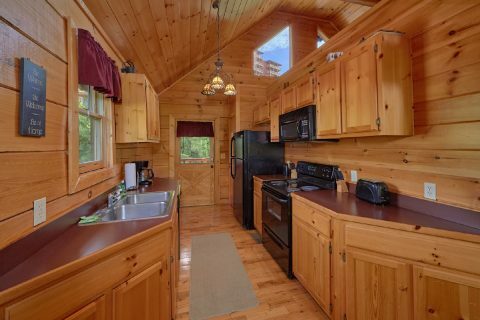 Look no further than "Radiant Ridge!" 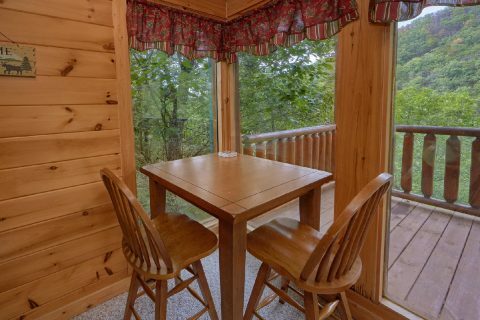 This premium 2 bedroom cabin boasts a great set of amenities and a prime location that's close to the region's best attractions. 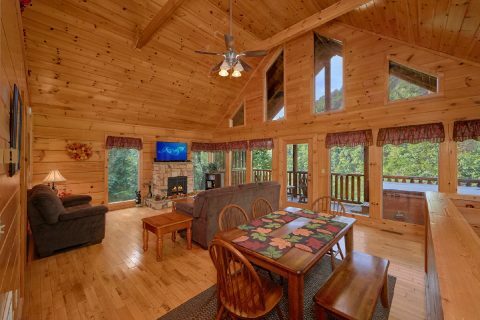 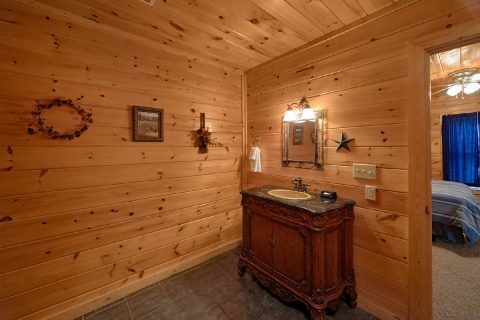 Since this rental boasts a great location in the Black Bear Ridge Resort area, this cabin is conveniently located just off of Wears Valley road between Pigeon Forge and Wears Valley, TN. 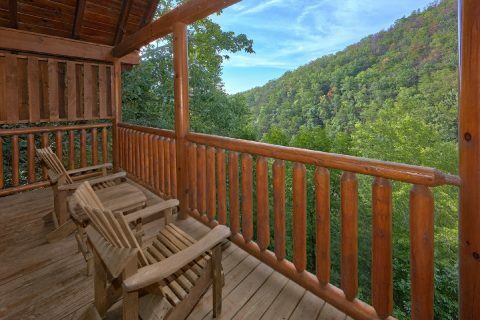 As a result, this cabin is less than 5 miles away from exciting attractions on the Parkway and it is also less than 10 miles away from the Great Smoky Mountains National Park at Metcalf Bottoms. 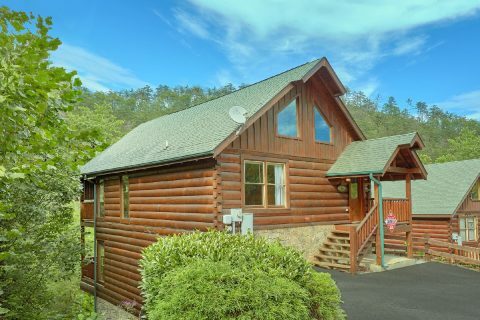 As a result, guests of this cabin can easily enjoy a fun day at Dollywood or a terrific day exploring the hiking trails of the national park. 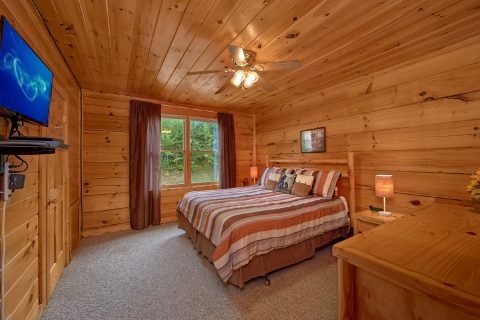 Whether you spend your day experiencing the charming sights of Downtown Gatlinburg or viewing grand mountain vistas inside the national park, you'll love returning to your cozy mountain cabin that offers everything you need to relax. 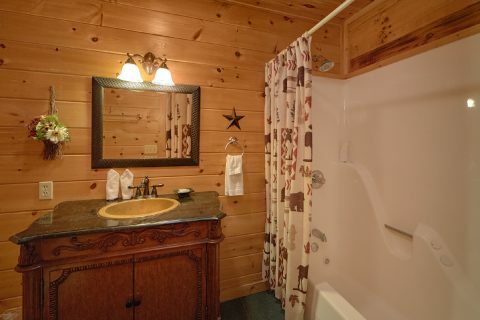 On the deck, you can soak your weary bones in the warm waters of your cabin's hot tub. 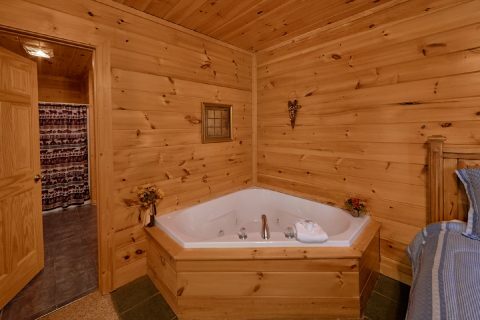 The jacuzzi tub inside is perfect for unwinding during your stay. 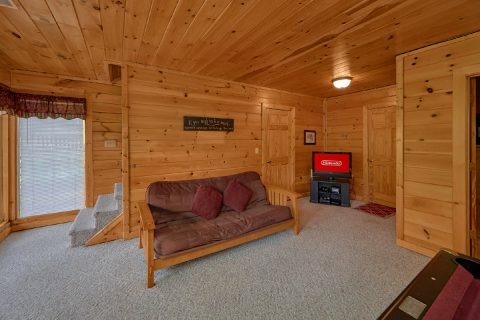 In the welcoming living room area, everyone can kick back by the electric fireplace while sharing stories about their day of adventure in the national park. 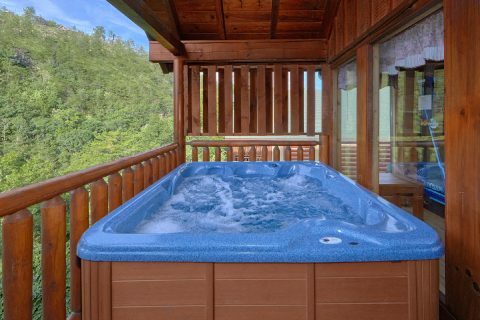 During the warm summer months, you can make a splash at the outdoor resort swimming pool. 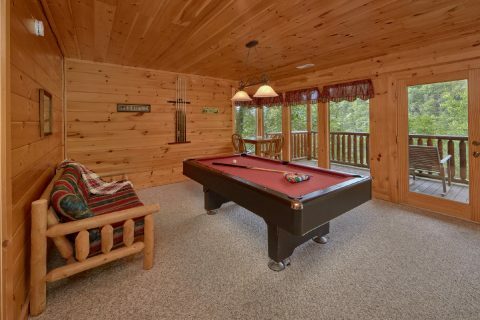 Or for a bit of friendly competition, your cabin provides a game room with a billiards table and a futon. 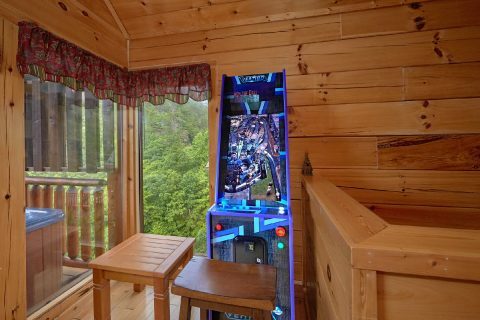 There's also a virtual pinball arcade game on the main level that features several pin ball games and arcade games to enjoy. "Radiant Ridge" also provides a set of practical amenities like a full kitchen, WiFi Internet, a charcoal grill, and a washer/dryer. 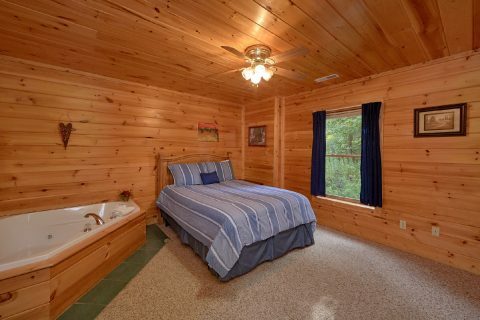 Once the sun sets on another fantastic day in the Smokies, you can look forward to getting a good night's rest in this cabin's 2 private bedrooms. 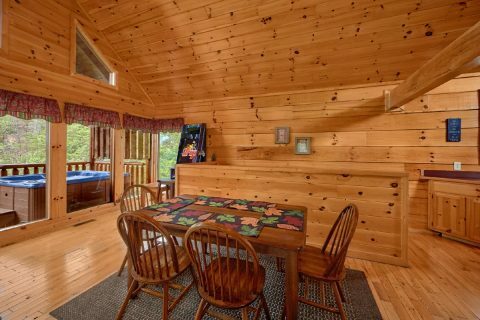 With a king-size bedroom, a queen bedroom, and a sleeper sofa in the living room, this rental can accommodate up to 6 guests in comfort. 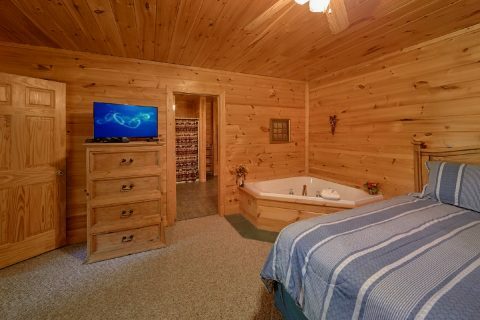 As an added perk, the king bedroom comes complete with a private bath and a jetted bath tub and the queen bedroom provides a corner jacuzzi tub for guests to use. 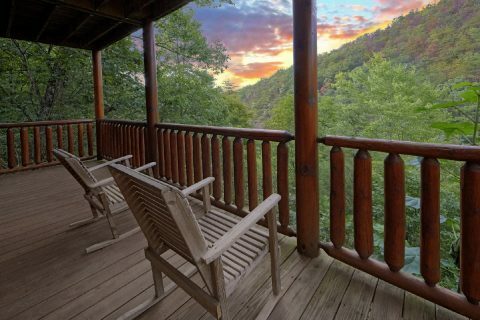 Want to save on your Smoky Mountain vacation? 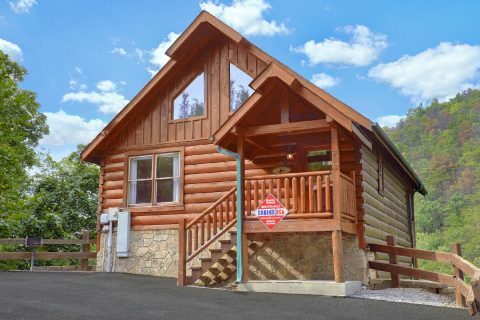 Simply book this rental online today with Cabins USA Gatlinburg to earn a 15% discount on your stay! 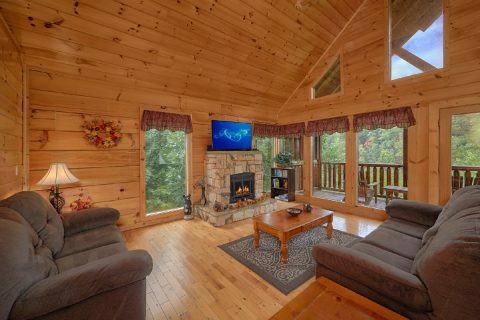 Start planning a fantastic getaway in the Smokies for less!